Jack Wilshere is nowhere to be seen in the West Ham Under-23s squad that will take on Derby County on Monday night. According to football.london journalist Sam Inkersole, Wilshere was supposed to play in the Premier League 2 fixture, but he was not named in the squad when the team news was officially released prior to kick-off. Wilshere has struggled with injuries since joining the Irons last summer and made his comeback for the Under-23s when they beat Leicester’s Under-23s at the London Stadium earlier this month. Has Wilshere suffered yet another setback? He was meant to play against Derby’s Under-23s side, but is nowhere to be seen, and that is bound to fire up rumours about the midfielder being injured yet again. It has been a miserable debut season at the London Stadium for the 27-year-old. 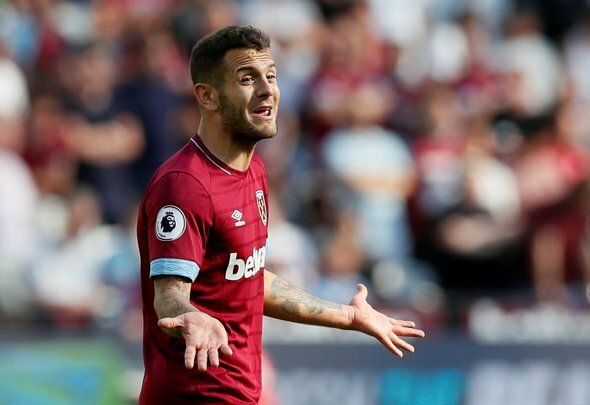 Since Manuel Pellegrini snapped him up on a free transfer last year, Wilshere has made just five senior appearances for the Irons and has not started a game since September 1. The former Arsenal playmaker is likely to be earning a lot of money on his deal at West Ham, and there have to be thoughts among the chiefs at the London Stadium that he is not worth that the money if he is injured all the time. Wilshere does have a touch of class about him and on his day, he is one of the best central midfielders in English football. However what’s the point when he can only showcase his talents so rarely? Hopefully he’s not injured again, otherwise it could be curtains for the midfielder in the summer.